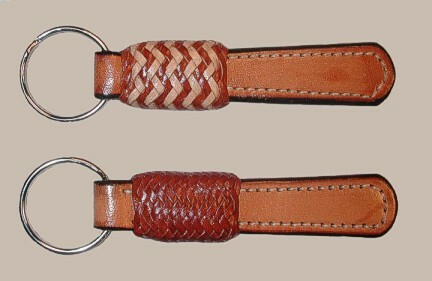 Key fobs are short projects that are easy, fun, great gifts and the building blocks of larger more complex projects. They require few tools and offer no pressure. 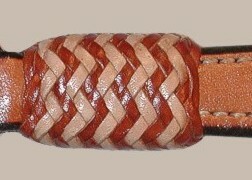 The kangaroo leather is resilient and helps the braider sharpen his or her braiding skills. 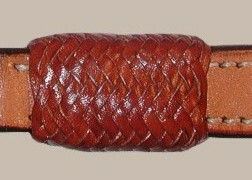 Group B above is the 6 bight long pineapple buttton, one with an added contrasting color and the other solid color. 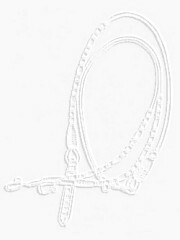 They can be order as separate key fobs below or as a group of 2. See below. Please allow 4 to 6 weeks for delivery of kits.